One of the biggest challenges facing the e-published or self-published author is getting your book into the consciousness of the international reading public. Unfortunately, aside from the huge boom in self-publishing over the past few years as well as trade publishers turning to electronic versions of their new releases and backlists, there’s another threat to the average author: spammers and content farmers are creating e-books and releasing them in the thousands. I am thrilled to announce that I found no “literary classics” listed under “Manuel Ortiz Braschi.” However, that made me interested. Had anyone else “published” Alice in Wonderland? So, I did a search for Alice in Wonderland, and discovered not only a free version for Kindle, along with various other Kindle versions selling for anywhere from 1.99 to 4.99, but one (Alice in Wonderland & Through The Looking Glass; A Lewis Carroll Collection) that listed Lewis Carroll as the author and The WrightAngles.com as author and editor on a .99 cent version. A website can be an author? Or an editor? Really? I was intrigued. Yes, it’s a long review. It’s also a review from a hardcover edition. Multiple other book retail sites specifically state that “This text refers to the Hardcover edition.” But the customers of this particular Kindle version weren’t informed of that, and naturally (since this is listed as an editorial review under this product) assumed — as they were meant to — that it referred to the product they were viewing. So how, you may ask yourself, is someone actually getting away with this? Because there are no restrictions placed upon content farmers and spammers. They can upload anything onto Kindle and no one catches them. Anyone who is well read knows that Lewis Carroll doesn’t have a co-author named TheWrightAngles.com, right? But there’s no plagiarism software in place to check for content farmers, and the innocent Amazon customer is the one who’s suffering — not Amazon. They’re still making their money off each 99 cent e-book sold and whoever the “co-author” is is making their fair share of royalties too. And it’s not just dead authors who are being victimized. 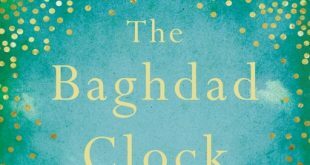 According to an article by Alistair Barr, released by Reuters and highlighted on Yahoo.com, “…Earlier this year, Shayne Parkinson, a New Zealander who writes historical novels, discovered her debut Sentence of Marriage was on sale on Amazon under another author’s name. So yeah, I just had to buy it. I had to know. Inquiring minds, right? In my nice shiny Kindle version of Alice in Wonderland and Through the Looking Glass; A Collection of Lewis Carroll, I found three things that the “co-author” wrote: “Welcome. I hope you enjoy this fine collection of Lewis Carroll works. At the end of each selection, I have included a collection of artwork inspired by the books.” This is followed by two pages. The first says “This is Lewis Carroll” with a photograph; the second reads “This is the real Alice.” As best I can tell, this is the only original content in this Kindle version, which does indeed end after Alice in Wonderland and doesn’t have Through the Looking Glass at all. I can’t believe I spent a whole dollar to prove a point. I think I’m going to return this to Amazon with vituperative complaints. But the fact remains — people are purchasing this product from Kindle, which ends with the somewhat strange sentence “The entire text of Through the Looking-Glass by Lewis Carroll (Charles Dodgson) as well as the illustrations (sic) in the public domain,” while containing some photocopied and scanned illustrations from a hardback book. And Amazon is doing nothing about it. Does that mean I can publish a copy of the King James Bible, co-authored and edited by Celina Summers? How about the collected works of Dickens? That sounds good, right? — Oliver Twist by Charles Dickens and Celina Summers. Content farmers and spammers, who are uploading tens of Kindle books per day, are making money through self-publishing platforms without supervision, content screening or plagiarism protocols. And then Amazon wonders why people get upset when they get suckered in. What makes this important for the author is fairly obvious. The Alice in Wonderland version I just paid 99 cents for? It’s currently ranked 43 in Kindle Store > Kindle eBooks > Fiction > Children’s Fiction > Literature > Classics and #83 in Kindle Store > Kindle eBooks > Children’s eBooks > Fairy Tales, Folk Tales & Myths. Yep. Ranked that high, and it’s not a real book. If that doesn’t emphasize the inroads spammers have made into Amazon, I don’t know what does. Writers, books like this are why your book can’t be found. And until Amazon and other third party sites start to regulate themselves, this trend will continue. So instead of sending your hard-earned money off to Amazon for a content farmer to turn into the udders of his cash cow, do yourself a favor. Shayne Parkinson, the author whose book Sentence of Marriage was plagiarized and sold under a different author’s name, is offering that book for free on Amazon. Get that for your Kindle, and leave the spammer — and Amazon — out of the loop. And that’s the only sales link I’m going to post in this article. I don’t even know Shayne, but she deserves better than being victimized by plagiarists.